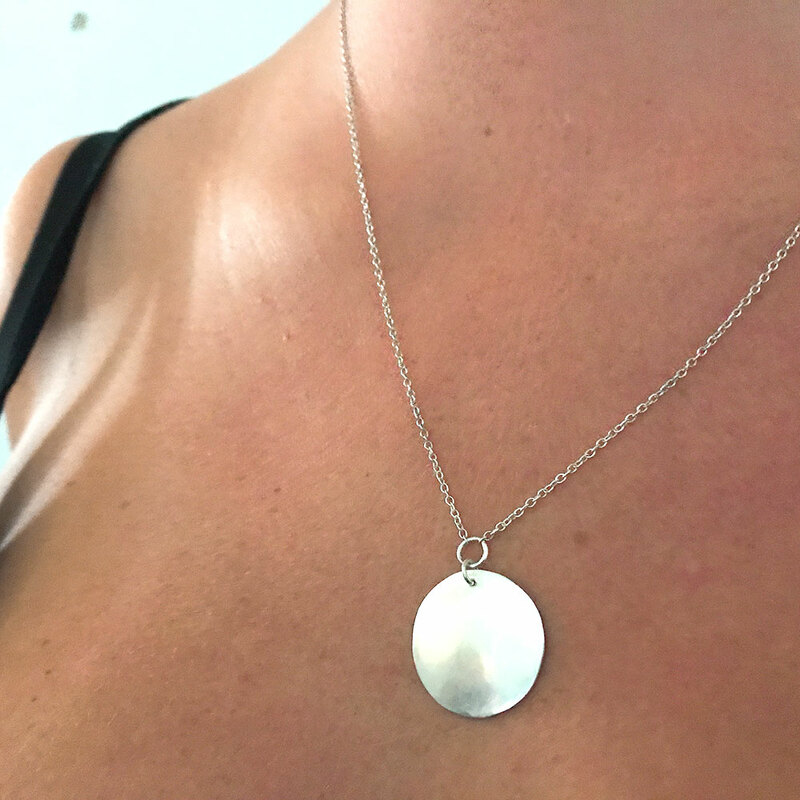 Create your own Sterling Silver Pendant! 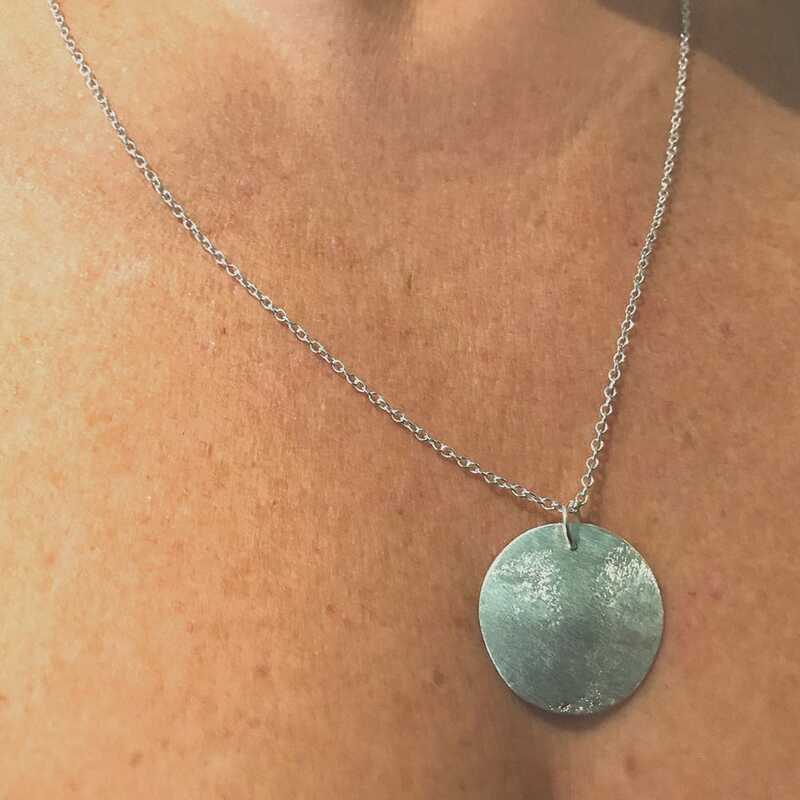 Design your own pendant, then using silversmithing techniques, learn how to saw, file, sand, texture and polish. 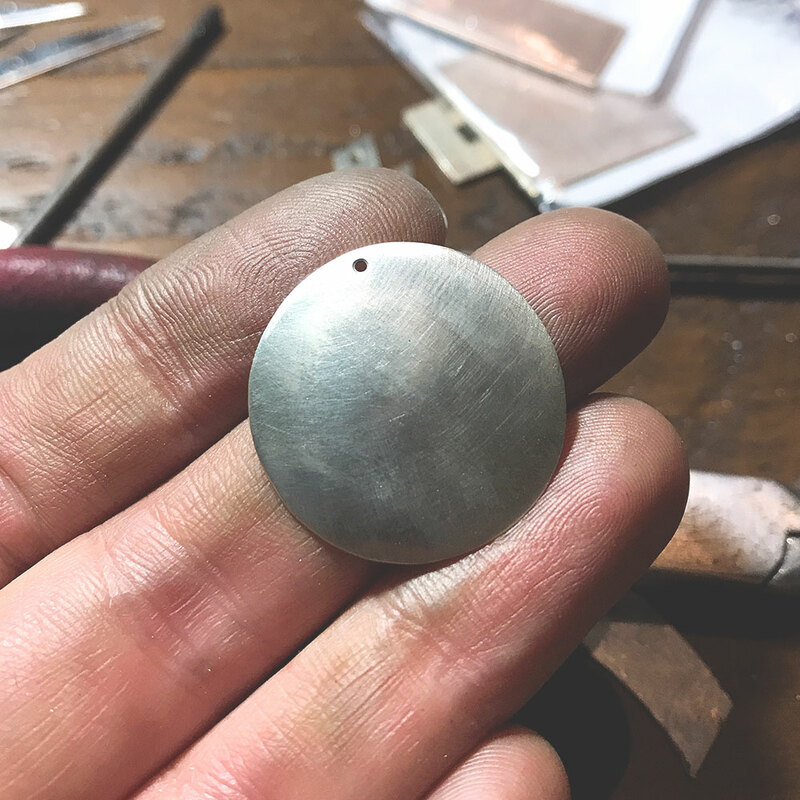 You will finish your pendant by adding a fine chain, then make a bonus pair of studs with your scrap silver. 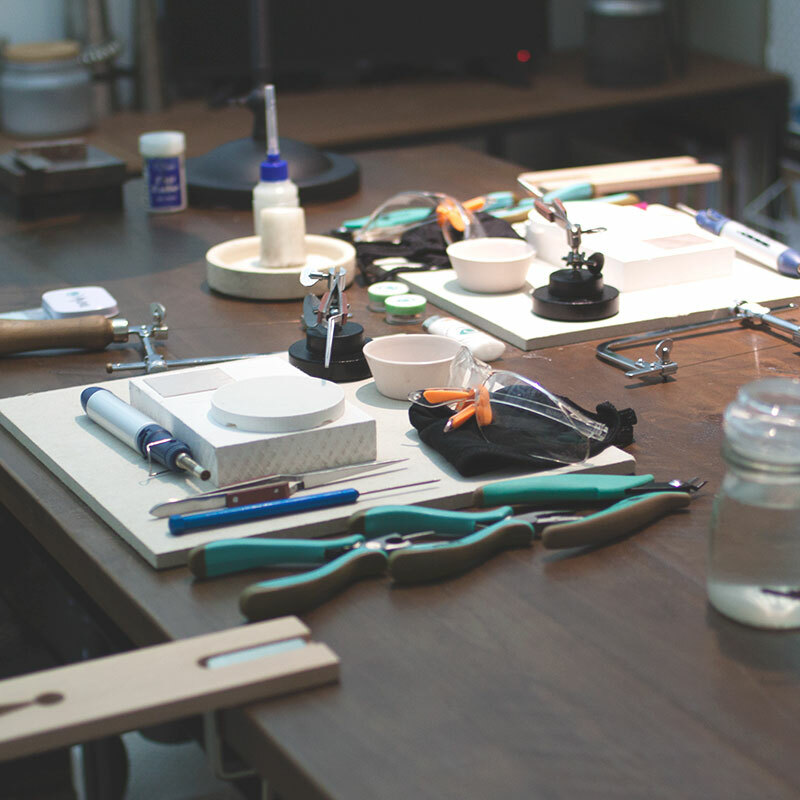 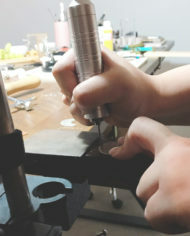 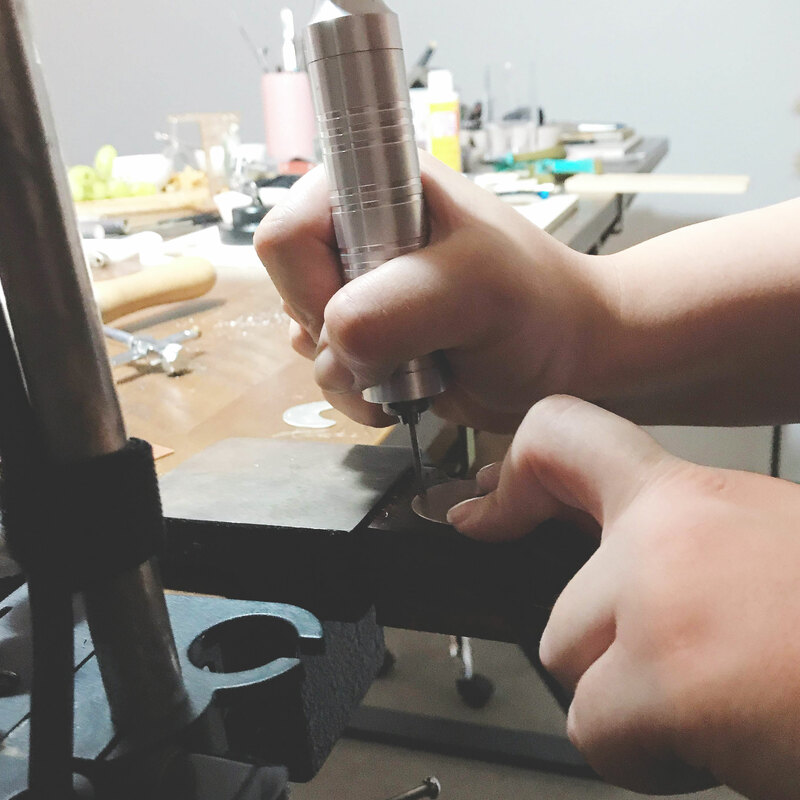 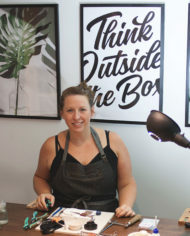 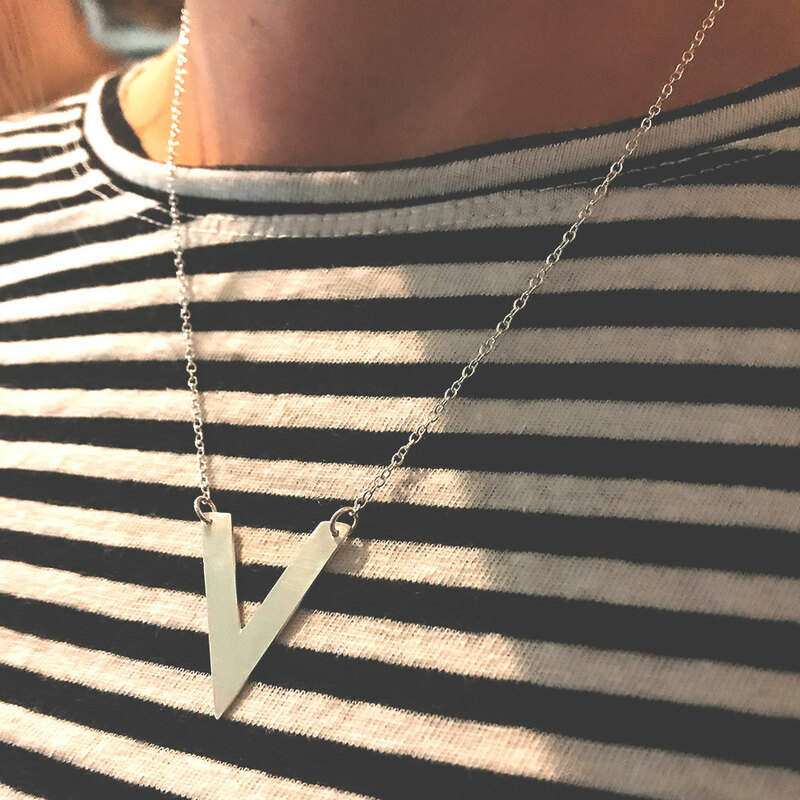 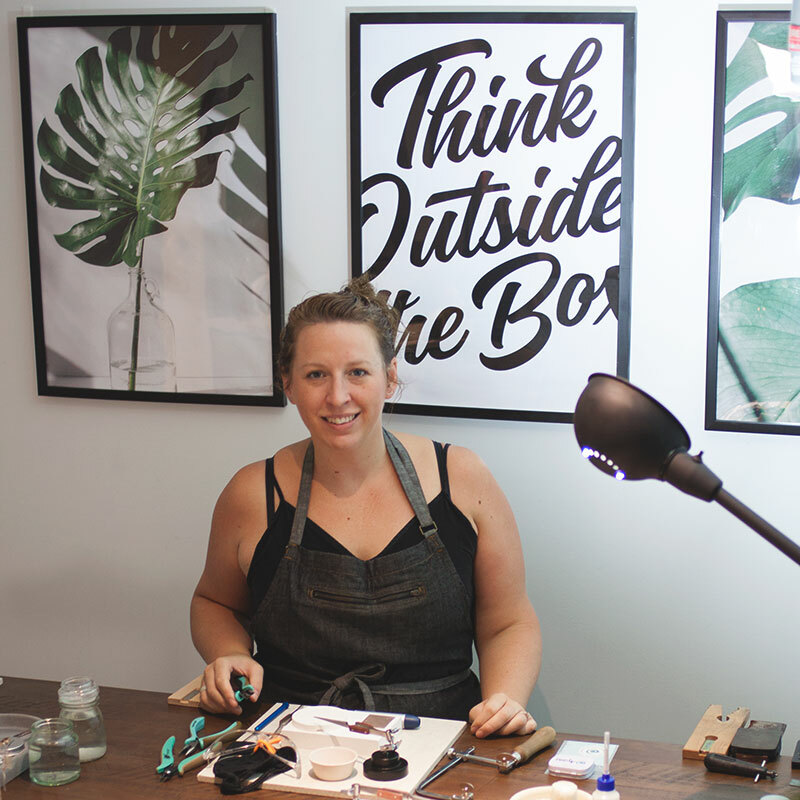 In this 3 hour, hands-on pendant workshop, you will make a solid silver pendant designed and HANDMADE by YOU! 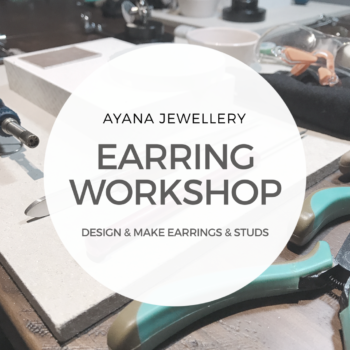 Plus, we aim to be a zero waste studio, so you will recycle your scraps to make a pair of nugget studs. 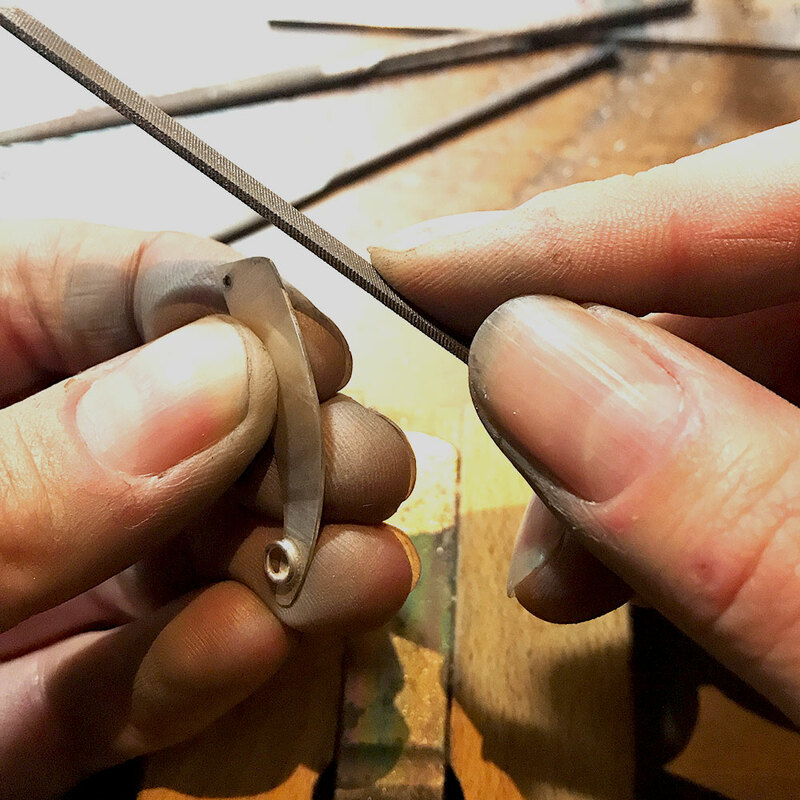 This pendant workshop is for beginners or anyone with prior experience, all will leave feeling creative and with a sense of achievement with basic skills of silversmithing skills under your belt. 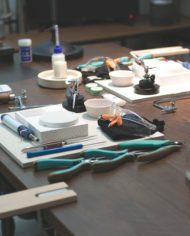 Here are some examples of other students pieces and some sneak peeks at the students at work… people JUST like you!